Throughout February my church have been taking part in a month of prayer. We are having weekly prayer meetings, hearing teaching on prayer, as well as starting a 24-7 Prayer Room, a quiet, calm sanctuary for people to book times 24-7 to pray. I was looking forward to this opportunity and this month way back in 2013 when it was being planned and discussed. And as soon as I could I booked in slots to pray with others for the ministries I lead, as well as time for Heather and I to pray together. I also booked a weekly 5am slot to pray on my own in the room. The last 2 Tuesdays I've been at the prayer room at 5am, just for 1 hour to pray and spend time with God. And I can genuinely say it's been some of my best parts of the last two weeks. I have been trying to sum up what it has been like and the one phrase that keeps coming to my mind is 'clarity'. A 5am 1 hour slot on your own in a prayer room (or somewhere else) is one of the best ways to get clarity in my opinion. Both weeks I've been in that room, the times of solitude have been so peaceful. No agenda, no pretending, no fancy words, no pleasing anybody else. Just me and God. I've looked out of the window to see a still Bracknell by night. No cars, no people, only the odd bird here and there waking up. I've journaled, waited, pondered and rested. It's in these times I have chatted with God. Deepened my relationship with Him, thanked Him, asked Him, listened to Him. Just 1 hour. So much clarity. I'm also not writing the whole 5am-thing to big myself up. Usually I'm out of bed much later than that and it's been tough to get up early and get to that prayer room! But these two weeks, in the quiet of the early morning before sunrise, I've experienced this solitude even more, before the day kicks in and before the thoughts begin. I write this as if it's some brand new idea. 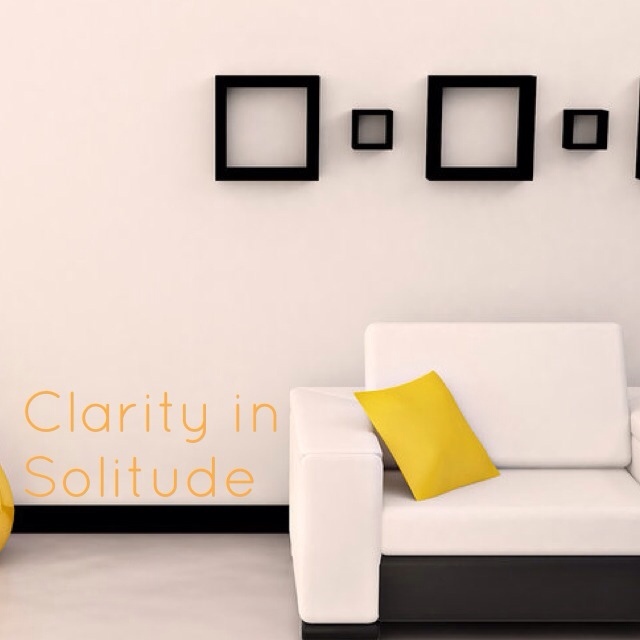 But let's be honest, you probably know that solitude is incrediblny important to your spiritual development. But why don't we do it more? That's not a question I'll seek to answer now, I just want to rave about how great solitude is, and if it gets you to spend one 1 in solitude chatting with your Creator, then that's great.